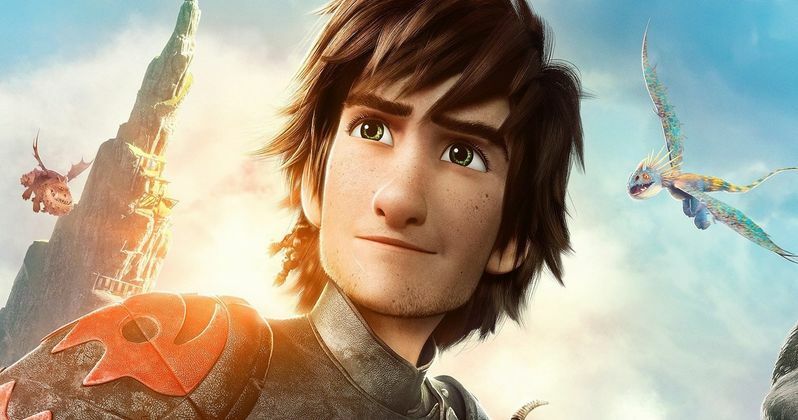 DreamWorks Animation's How to Train Your Dragon 2 took Best Animated Feature top honors at the 42nd Annual Annie Awards held Saturday, January 31 at UCLA's Royce Hall. The Best Animated Special Production was awarded to Cosmos: A SpaceTime Odyssey (Voyager Pictures LLC); Best Animated Short Subject Feast (Walt Disney Animation Studios); Best Animated TV/Broadcast Commercial Flight of the Stories (Aardman Animations); Best General Audience Animated TV/Broadcast Production for Preschool Children Tumble Leaf (Amazon Studios); Best Animated TV/Broadcast Production for Children's Audience Gravity Falls (Disney Television Animation); Best General Audience Animated TV/Broadcast Production The Simpsons (Gracie Films in association with 20th Century Fox Television); Best Animated Video Game Valiant Hearts: The Great War (Ubisoft); and Best Student Film My Big Brother (Savannah College of Art and Design, Jason Rayner). The Annie Awards honor overall excellence as well as individual achievement in a total of 36 categories from best feature, production design, character animation, and effects animation to storyboarding, writing, music, editing and voice acting, and have often been a predictor of the annual Academy Award for Best Animated Feature. The ceremony was live-streamed again this year at AnnieAwards.org/Watch-It-Live where animation enthusiasts and those who were unable to attend the event, could watch the show. A complete list of winners can be viewed at http://www.annieawards.org\AnnieAwards.org and highlights of the ceremony will be uploaded to the Annies website in the next few weeks. Here's what ASIFA-Hollywood Executive Director, Frank Gladstone had to say about the Annie Awards in a statement. "Our industry waits all year for this event and it never disappoints. This was a terrific night with something for everyone. It was fun to take a look back at our history, celebrate and honor what we have accomplished over the past year, and even look forward a little to what is in store for 2015 and beyond." Presenting the coveted Annie trophies this year were the comedy-folk duo Garfunkel & Oates - actress-songwriters Riki Lindhome and Kate Micucci; Veteran voice talent and industry legend June Foray; Songwriter and music director Richard M. Sherman, Filmmaker and artist Tomm Moore; Industry professionals Leslie Iwerks, John Musker, Ron Clements and ASIFA-Hollywood president Jerry Beck and Executive Director, Frank Gladstone. ASIFA-Hollywood is the world's first and foremost professional organization dedicated to promoting the art of animation and celebrating the people who create it. Today, ASIFA-Hollywood, the largest chapter of the international organization ASIFA, supports a range of animation activities and preservation efforts through its membership. Current initiatives include the Animation Archive, Animation Aid Foundation, animated film preservation, special events, classes and screenings. Created in 1972 by June Foray, the Annie Awards have grown in scope and stature for the past four decades. For more information on the Annie Awards, please visit AnnieAwards.org. For information about ASIFA-Hollywood, visit ASIFA-Hollywood.org. Watch 5 New How to Train Your Dragon 2 Clips!